Camping Sol a Gogo - A luxury camping site for the whole family close to the Atlantic Ocean. 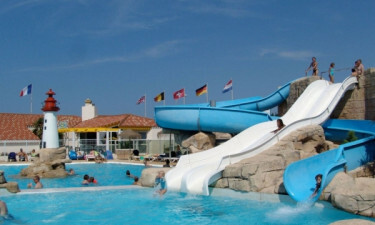 The holiday camping destination Sol a Gogo is found within the Vendée region of France and quite close to the Atlantic Ocean. To learn more about this luxury camping site, please speak with a representative at Lux-Camp. Why Should My Family Choose Sol a Gogo for Our Next Holiday? A massive open-air aquatic centre. The ability to rent a mobile home lodging. All of the modern conveniences of home. Luxury camping is now cool and comfortable thanks to a large water park located within Sol a Gogo. Pools are found both indoors and outdoors. Heated water ensures comfort throughout the year and three different water slides will keep the children occupied for hours at a time. There are also games and activities to be enjoyed by young ones as well as adults. Both pools are open throughout the year. Any mobile home found here will provide the visitor with all of the amenities that he or she has come to expect during a camping holiday. These are up to 32 square metres in size and a direct power connection is found within each pitch. Bottled gas is available for cooking and heating. These lodgings are designed to accommodate up to 6 people comfortably during their stay. Please note: The pool area is open from the 14th of May to the 10th of September. Sol a Gogo heightens the notion of camping luxury thanks to the numerous on-site services that it provides. These include the use of a washer and a dryer, free wireless Internet, the ability to enjoy takeaway fast food, sports such as volleyball and tennis, a cleaning service and a large gaming room. There are even billiard tables for those who enjoy this relaxing activity. There is a food court and restaurant located within Sol a Gogo. As mentioned previously, campers have the ability to eat their meals here or instead take it back to their pitch if they wish to enjoy a bit of privacy. Also, a small bar can be frequented by those who enjoy a cocktail or two. Imported beers and local wines are available as well as liquors. 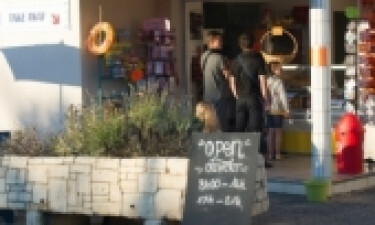 The restaurant, bar and minimarket is open from the 14th of May to the 1st of September. This holiday camping site provides guests with a local grocery store that is stocked with numerous useful items. Fresh fruits, vegetables and foods can be purchased here as well as basic camping equipment and bottled drinks. There is a small selection of international newspapers and tourist souvenirs as well.